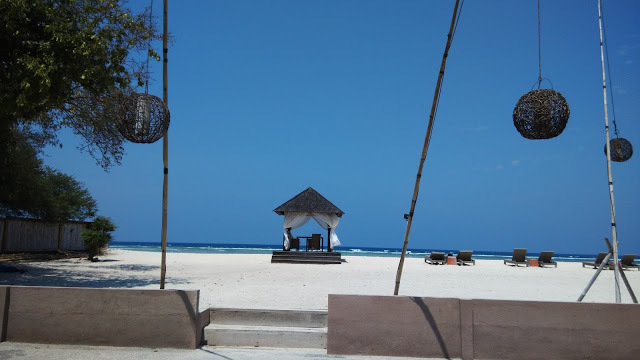 Gili Trawangan is the new Bali of Indonesia. 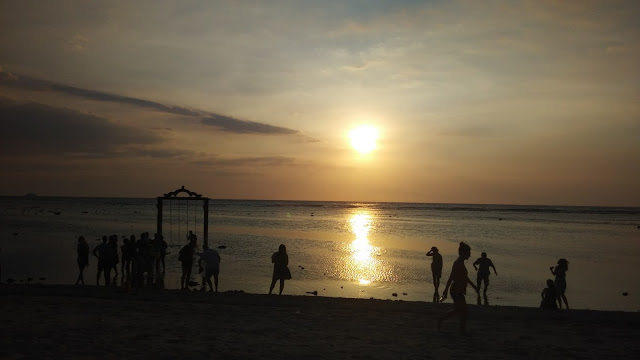 It used to be an island for budget backpackers who are looking for alternative to the commercialized Bali, but now people are flocking in to the island for its unspoiled and serene view. The island is misinterpreted by a lot of websites and pamphlet that pushing to promote the tourism here. 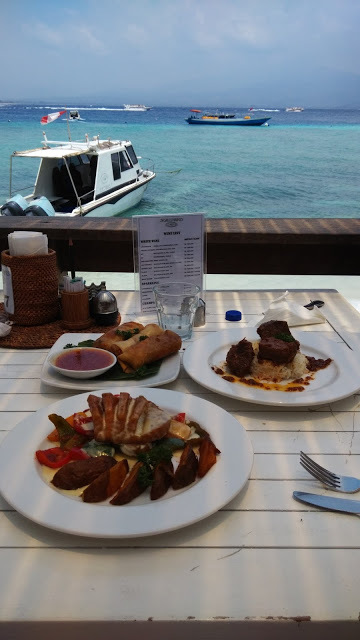 This prompted me to write about the 5 things you need to know before going to Gili Trawangan. I was one of the victims of the misinformation. I stayed at the wrong area which limited me to enjoy the night activities. I also didn't factor in the traveling time and boat schedule which costed me a lot of time lost. Due to that, I had to hire a private boat to transport us over and that's another cost incurred. I hope the 5 points below will help you plan your trip better. The nearest airports to the island are Lombok and Bali. 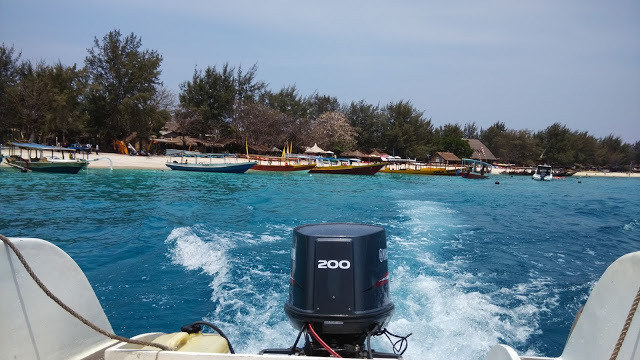 From the main island (Lombok or Bali), you will need to take a boat or ferry to Gili Trawangan. 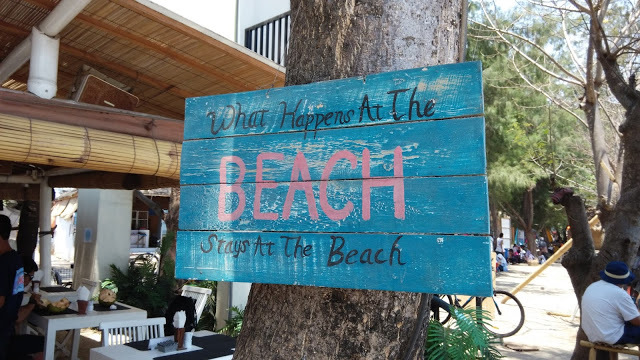 Although some of the travel guides make it sound like you can hop on to any boat and head directly to the island right after you touch down, in reality, it doesn't work that way. 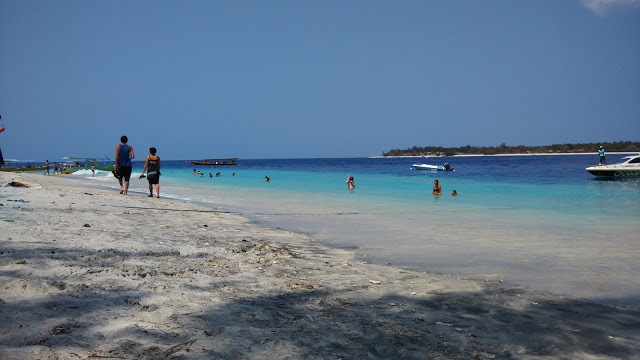 From my experience transferring from Lombok, you need to travel another one and half hour to reach the boat transfer spot by the beach in Sengigi. The price for the private chartered boat transfer is pretty expensive, approximately RM200. For those who would like to take the public ferry, there are a few harbours for transit. Bangsal Harbour is the recommended one. The public ferry isn't that convenient, as it only departs twice a day without a schedule. Although the schedule is provided, the boatmen will depart only if the ferry is fully occupied. You will need to squeeze into the ferry along with the local tradesmen who are carrying live chickens and other food stocks. I highly recommend you to rent a private boat for convenience. But it is only worth it if you have a few pax to share out the cost. The entire island is motor vehicle free. The only mode of transport there is horse cart or bicycle. You have to be prepared for this. Pack light, even better if you can fit everything in a backpack. Bring sandals, there will be a lot of walking. 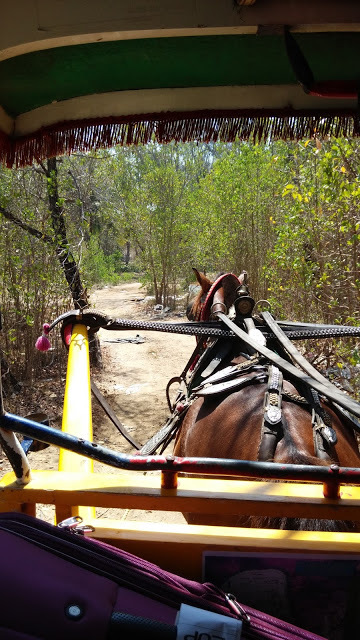 Horse cart is expensive. I spent about RM150 for horse rides in just 4 days. Rent a bike. And stay nearer to the harbor. This brings me to point #3. The hot spot is nearer to the jetty. 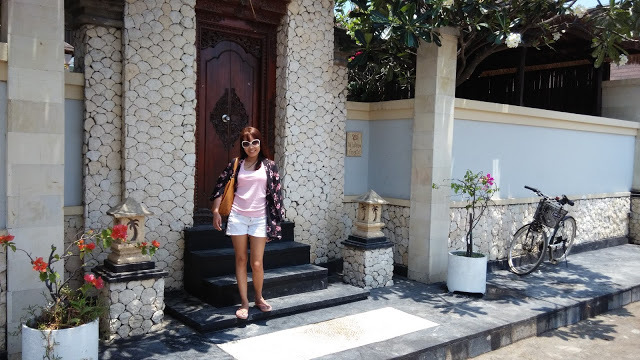 I made a mistake by booking Villa Ombak which is pretty far away from the hot spot. Even if you rent a bike, it is not easy to go to the town area at night since there is no street lamp and the dirt road is not easy to ride on. 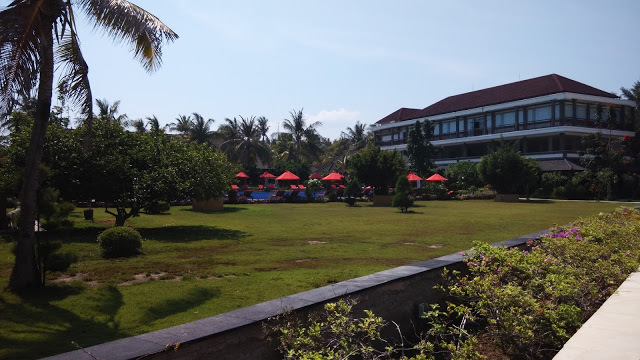 The hotel prices in town is cheaper than those around Villa Ombak area. Remember, stay nearer to the town which is nearer to the jetty to enjoy the night crowd there. No one talks about how rough the sand is. I got my legs cut a few times when I was in the water. Broken coral reefs and coarse sands are accumulated on the beach. Be prepared for this by bringing your sand shoes. One disappointing fact is, the sea isn't exactly swimmable. The water nearer to the shore is shallow and if you go further it is too deep. Do not leave your kids unattended near the water. If you are thinking of going for a swim while having your kids playing on the sand, this island isn't the best for you. Since the island imports food ingredients and water from the main island, the prices for food is pretty expensive especially if you dine in the restaurant. Bring more cash as there is limited ATM machine on the island. Most family operated restaurants do not accept credit card. Also, pack your essentials because things are either expensive or not available. I guess you get the point. 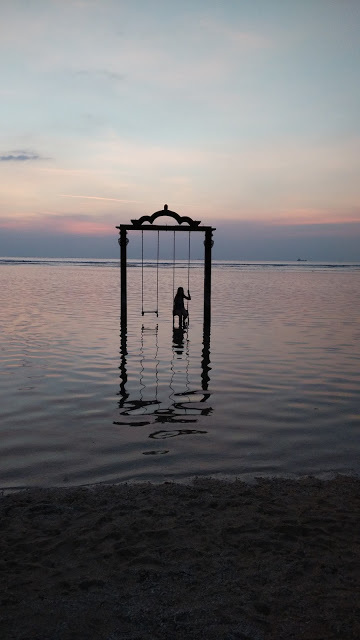 Have you been to Gili Trawangan? Do you think what I've mentioned is true? I would say this isn't the best island I've been to so far. Pulau Perhentian Kecil would be a better option if you want a relaxing and affordable beach retreat. Take note that I visited the island in 2015. There might be some improvements done on the island, I hope.